Fall in love with fitness this November as the days grow colder here in the Northern Hemisphere (or Spring into fitness in the Southern half of the world!) 😉 Below are the current challenges available via Instagram or online. Beginners and all levels can do this pole challenge for November! Use these tags #beyouloveyoufitness #mychromefitness #Novemberpolechallenge and play along!! 💥💥💥💥💥💥💥💥💥💥💥💥💥💥💥💥 Attention Pole Ladies and Gentlemen! Are you ready for an awesome #polechallenge in November? We prepared something challenging for you! ⭐️⭐️⭐️⭐️⭐️⭐️⭐️⭐️⭐️⭐️⭐️⭐️⭐️⭐️⭐️⭐️ Thanks to our sponsor @backbone.polewear we are able to choose 3 winners after our challenge! The winners will be chosen randomly! What are the prices? 2 Outfits and 1 Leotard from @backbone.polewear !!! They also have amazig polewear for men! So boys don’t be shy and participate too! ❤️❤️❤️❤️❤️❤️❤️❤️❤️❤️❤️❤️❤️❤️❤️❤️ How to play: ☀️Follow our sponsor: @backbone.polewear ☀️Follow the 2 hosts @maja_pole and @sarahoffi - we will post a video every day, so you can see how the tricks or the combos are done! For the more advanced tricks we will give you an easier variation or an easier trick! ☀️ Use the hashtag #polefitnovember so we can find your videos and see how awesome you are! 😍 ☀️ Repost this Insta-Flyer so we can spread the word about this challenge! 👯👯👯👯👯👯👯👯👯👯👯👯👯👯👯👯 Our goal is to have tons of fun and a great poleworkout!!! With all of you! ✨✨ NOVEMBER CHALLENGE! ✨✨ November combo challenge with @dredee1983, @kristen.bethanie, and @tara.renelle.roxy starts next week! Excited to be giving away 3 prizes again this month! This month's moves focus on BACKBENDS. @tara.renelle.roxy has joined us to give you a weekly yoga sequence or exercises to help improve your backbend for that week's pole tricks. To play, follow the steps below: 1. Repost the flyer and tag two friends to play. 2. Follow the hosts and sponsors and tag in all your entries! Example videos will be posted 2-3 days before each combo day so check the host profile before each combo. @kristen.bethanie will demo the first half of the moves and @dredee1983 will demo the second half of the month's moves. Also watch @tara.renelle.roxy weekly videos for your back exercise or yoga sequence for each week. 3. Post a video of your combos using the moves listed for each odd numbered day of the month. If the moves are too advanced for you, do videos of prep work for each move - that still counts! Also post 1 weekly video with the yoga sequence or exercises provided by @tara.renelle.roxy. Use the hashtag #novembercombochallenge, and don't forget to tag the hosts and sponsors in all your entries! All entries must be received by December 3, 2017. Winners will be announced December 6, 2017. 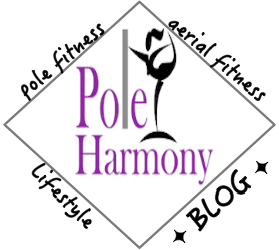 Winners must complete all combos and weekly exercises as best they can for their level and will be chosen based on fluidity of transitions and good form. . 🏆PRIZES🏆 1st place will receive a pole set from @galepolewear 2nd place will receive a shirt from @darkside.fitness 3rd place will receive a jar of iTac ✨✨✨✨✨ Happy poling!